Garden City Realty Mobile Real Estate brings the most accurate and up-to-date real estate information right to your phone. 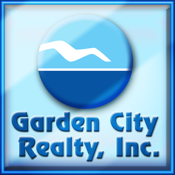 With Garden City Realty Mobile Real Estate you have access to every MLS listing along the Grand Strand anytime, anywhere. Use the Garden City Realty Mobile Real Estate GPS search to view properties for sale around you, or find homes based on address, city or zip code. Garden City Realty Mobile Real Estate will also display property details including price, square footage, features, descriptions, pictures, maps and more. Save your favorite listings to view later or text and email properties to your family and friends. With instant access like this, searching for property has never been so easy. If you have questions or would like to view a listing, please select the ‘Contact’ feature to call or email a Garden City Realty Mobile Real Estate agent.